We are entering the final weekend in October and there are some huge games on the horizon this week and beyond. For week nine the big games are #10 West Virginia at Oklahoma State, #14 Florida at Georgia, #4 Washington at #17 Utah, #7 Nebraska at #11 Wisconsin, and #3 Clemson at #12 Florida State. 1. Appalachian State at Georgia Southern (10/27 at 7:30 PM) – This is a massive game for both teams as well as the Sun Belt title picture. Appalachian State sits at 5-2 overall and 3-0 in conference while Georgia Southern is 4-3 overall, but 3-1 in the Sun Belt. Georgia Southern started the year 3-0 before three straight losses including a 27-26 loss to Arkansas State on the road. They rebounded to defeat New Mexico State last week 22-19 in what was their fourth straight road game. Appalachian State had that excellent defensive game versus Tennessee to start the season and have only had one stumble and one hiccup since then. They were crushed at home by Miami (FL) 45-10 and played a thrilling 45-38 game at Akron, which they won. Their defense will have a test against the Georgia Southern triple option. 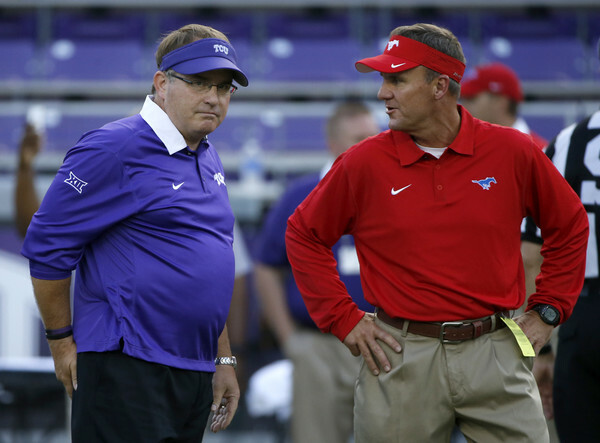 Both teams still have to face fellow Sun Belt contender Troy later this year. Appalachian State travels to play them on 11/12 while Georgia Southern faces them at home on 12/3. This game could make the Appalachian State-Troy game the Sun Belt decider if Georgia Southern cannot get the win. 2. Connecticut at East Carolina (10/29 at 12 PM) – This game will probably determine which team finishes at the bottom of the AAC East. Currently, Connecticut is at 1-4 in AAC play and East Carolina is 0-3. Connecticut has been a tough customer this year in almost every game. However, they only have a 3-5 record to show for it with five of their games determined 8 points or less (2-3 record). East Carolina has not been so tough with just a 2-5 record overall and five straight losses. Only the loss at South Carolina (20-15) has been less than a touchdown with the other four losses all by 12 points or more. This game also has potential bowl implications. A win for Connecticut would still keep their hopes alive with three difficult, but winnable games to end the season. A win for East Carolina would keep their bowl hopes alive, but still leave them a lot of work to do with Tulsa, SMU, Navy, and Temple to end the season. A loss for either team leaves zero margin for error the rest of the season. 3. Duke at Georgia Tech (10/29 at 12 PM) – Neither of these two squads will win the ACC Coastal, but they both have legitimate hopes for reaching a bowl game. And both teams need to win this game when looking at their final four games. Let’s start with Duke’s final five games: Georgia Tech (away), Virginia Tech, North Carolina, Pittsburgh (away), and Miami (FL) (away). For Georgia Tech it is Duke, North Carolina (away), Virginia Tech (away), Virginia, and Georgia (away). With Duke currently at 3-4, this win would put them at .500 and the Blue Devils would need two wins. Given their last four games, they would have to be two upsets, which are possible with this team, but would also be a very tall order. Georgia Tech would move to 5-3 with a win and they would need one win to reach a bowl game with Virginia their best chance to win. 4. Kentucky at Missouri (10/29 at 12 PM) – Here is a contest that could elicit quite a bit of offense. Missouri’s decent start to the season has completely dissipated with the defense giving up 44.3 points and 580 yards per game over their last three games. Kentucky’s offense put up 554 yards on Mississippi State in their 40-38 win last week. Kentucky is in much better shape to make a bowl game with their 4-3 record. After Missouri, they will face Georgia, Tennessee (away), FCS Austin Peay, and Louisville (away). A win here and they are very likely to hit 6 wins this year at minimum. Missouri needs a lot of help sitting at 2-5, but a win here helps somewhat. They finish with South Carolina (away), Vanderbilt, Tennessee (away), and Arkansas. 5. Army at Wake Forest (10/29 at 3:30 PM) – No conference implications here, but there are bowl implications. Army started 2016 quite well going 3-0 before losing back-to-back games on the road to Buffalo and Duke by a combined 10 points. They crushed Lafayette before last week’s blowout loss to North Texas at home 35-18. At 4-3 there are plenty of chances let for this team to get to 6 or 7 wins and this could be a game they can steal. Wake Forest has been a surprise team this year and are currently at 5-2. Their losses have been to North Carolina State and Florida State on the road, but this defense has been good. Their hands will be full as their defense allows 119.3 rushing yards per game and will face Army’s top ranked rushing attack that averages 366.8 yards per game. Army finishes the season with the trio of Air Force, Notre Dame, and Morgan State at home before the finale against Navy. If Army can steal a win here, they will be in solid shape. On the flip side, a win here for Wake Forest will put them in their first bowl game since 2011 when they lost the Music City Bowl to Mississippi State 23-17. 6. SMU at Tulane (10/29 at 4 PM) – Here is another potential basement battle (in the AAC West), but both teams still have a shot at making a bowl game despite identical 3-4 records. SMU is coming off their blowout win at home over #11 Houston 38-16 and a close loss the week before on the road at Tulsa (43-40). SMU will be facing Memphis, East Carolina (away), South Florida, and Navy to end the season so a win against Tulane would still require an upset or two in order to become bowl eligible. Tulane has lost two in a row against Memphis (24-14 at home) and Tulsa last week (50-27). Their final four games are Central Florida (away), Houston (away), Temple, and Connecticut (away). 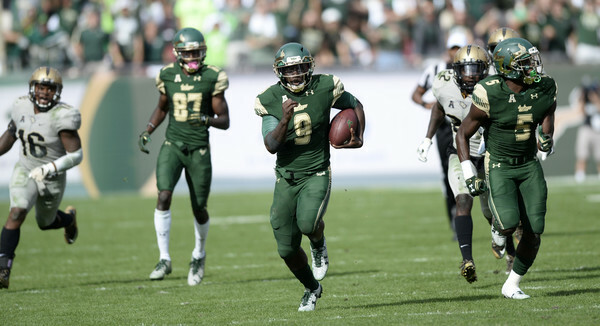 A win here and they would have a decent chance of beating both Central Florida and Connecticut to become bowl eligible, but those are both away games. 7. Boise State at Wyoming (10/29 at 7 PM) – The Mountain West’s Mountain division title could be on the line here. Both Boise State and Wyoming sit at 3-0 in conference play though a win could be far more important for the Broncos. 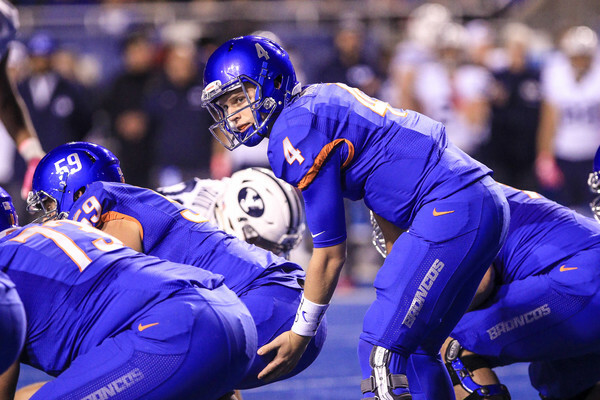 Boise State is 7-0 overall, but their last two games have not been easy. Two weeks ago they led Colorado State 28-3 with 5 minutes left in the game and held on for a 28-23 win. Last week’s game against BYU saw the Broncos commit 5 turnovers including two interceptions returned for touchdowns, but a fourth quarter rally and strong defense in the final 15 minutes saw them eke out a 28-27 win. Wyoming is currently 5-2 overall and there is a distinct pattern to their wins: they score a lot of points. In each of their 5 victories they have put up at least 35 points while in their two losses they have averaged just 20.5 points. They may have to score 35 or more points if they want to win this game and take control of the Mountain Division. A win here for Boise State would likely wrap up the division for them with four games to play. The Broncos face San José State, Hawaii (away), UNLV, and Air Force (away) in the final four games and it is difficult to see them losing more than one game, if they even lose any at all. The Broncos can still overcome a loss but would need help from Wyoming’s final four opponents: Utah State, UNLV (away), San Diego State, and New Mexico (away). That is possible, but the Broncos have their sights set on a possible big bowl game and they can only do that by winning out. 8. Middle Tennessee at Florida International (7 PM) – Both of these squads are part of the wide open C-USA East division race. Middle Tennessee stepped out of conference play to defeat the SEC East’s Missouri Tigers. Florida International lost their first conference game last week to Louisiana Tech at home 44-24. Middle Tennessee looks like the better team on paper, but that is not where games are played. Their two losses are to Vanderbilt on the road (47-24) and Western Kentucky at home in double overtime (44-43). That loss to WKU has already put them a bit behind the Hilltoppers and MTSU still has to play UT-San Antonio, Marshall (away), Charlotte (away), and Florida Atlantic. The UTSA game is clearly the most difficult, but they cannot overlook their road games. FIU started 0-4 before winning three straight against Florida Atlantic, UTEP, and Charlotte. As previously mentioned, they lost to Louisiana Tech and the competition becomes harder with MTSU this week followed by Western Kentucky (away), Marshall, and Old Dominion (away) to end the season. FIU still has a chance to win this division, but it will not be easy and they must win this game. Check back next week for the week ten edition of Under The Radar Games. In addition, you can find the previous columns below. Week four of the college football season will see some non-conference games drop off and big conference tilts become the focus. The big games this week are #12 Georgia at #23 Ole Miss, #11 Wisconsin at #8 Michigan State, #19 Florida at #14 Tennessee, Oklahoma State at #16 Baylor, and #17 Arkansas at #10 Texas A&M. We like to focus on the games off the national radar keeping an eye on both this week and possibly down the road with their impact on the season. Let’s take a look at some of the under the radar games for week four. Note, these games are listed in order of when they will be played. 1. Central Michigan at Virginia (9/24 at 12:30 PM EST) – Normally there is not much to a 3-0 versus 0-3 matchup, but this would be another big win for Central Michigan and the MAC if it happens. The MAC already owns wins over two Big 12 opponents (CMU over Oklahoma State and Ohio over Kansas) as well as two wins over Big 10 opponents (Western Michigan over both Northwestern and Illinois). A fifth win over a Power 5 opponent would be great for the MAC. The Chips are 3-0 thanks to wins over Presbyterian, Oklahoma State, and UNLV. Virginia is 0-3 with losses to Richmond at home along with Oregon and Connecticut on the road. This is their last game before opening ACC play in October and the last eight games do not offer many apparent wins. 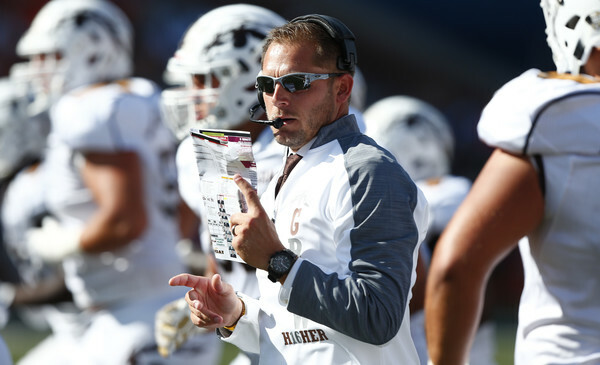 Can Central Michigan keep their great start going against another power five team? 2. Syracuse at Connecticut (9/24 at 1 PM EST) – Is this game getting confused for the hardwood? Nope, but this matchup would be great to see on an annual basis in basketball. The Orange were on this list last week to see how they would handle South Florida after getting trounced 62-28 against Louisville. The answer: Great for 15 minutes, terrible that last 45. Syracuse led 17-0 after the first quarter and lost 45-20. Connecticut likes to keep their games close (no game decided by more than 4 points), but are still 2-1 on the year. This test will be interesting because the Syracuse offense has shown explosiveness averaging over 500 yards per game. Unfortunately, the defense has nearly yielded that same amount (481 per contest thus far). The Huskies’ defense gives up 355 yards a game while the offense puts up 310.3 yards per game. Both teams need this win if they want to have a hope of making a bowl game this season. 3. Appalachian State at Akron (9/24 at 3:30 PM EST) – Appalachian State (1-2) started with that great defensive effort against Tennessee in the 20-13 overtime loss, but were blitzed last week in a 45-10 loss at home to Miami (FL). Akron is 2-1, but what really put them on this list was their 65-38 win over Marshall last week. The Zips trailed 21-7 after 15 minutes, but a 34 point outburst by the offense in the second quarter made it 41-21 at half. Prior to the 2015 season, Akron had not been competitive in the MAC since their 2005 Championship winning year. This game, against what is expected to be a solid defense, is a great test going into conference schedule. For Appalachian State, this game is a chance to get their confidence back and possibly prepare for some of the passing offenses they will see in the Sun Belt. 4. Wake Forest at Indiana (9/24 at 3:30 PM EST) – How many people had these two teams coming into this contest undefeated? Wake Forest is 3-0 and they have played solid defense giving up just 12.7 points per game. Indiana is 2-0 and they too appear to have gotten better on defense (16.5 points per game). Not many will probably think much of this undefeated matchup given the teams, but there are implications. Let’s look at what a win would mean for each team. Wake Forest would be 4-0 with games left against Army, Virginia, and Boston College all at home. A win for Indiana would make them 3-0 with games against Northwestern (away), Maryland (home), Rutgers (away), and Purdue (home). Will Wake Forest be able to score enough points and hold Indiana’s offense in check? 5. Colorado at Oregon (9/24 at 5:30 PM EST) – Colorado opened the season with two blowout wins against Colorado State and Idaho State. They had an amazing start to their game at Michigan taking a 21-7 lead after the opening quarter. The Buffaloes did take a 28-24 lead very early in the third quarter on Sefo Liufau’s 70 yard pass to Shay Fields, but it was all Michigan after that in the 45-28 loss. Oregon started with two wins against UC Davis and Virginia at home before a road contest against Nebraska. They lost 35-32 despite playing without Royce Freeman for most of the contest and going 1 of 5 on their two point conversion attempts. The defense has looked suspect in the first three weeks of the season as well. If Colorado has Sefo Liufau for this game and Oregon is missing Royce Freeman it could be a close game. If the reverse is true, then this may not be a game to keep an eye. As of this writing, Liufau will be a game-time decision while Freeman’s participation is up in the air. 6. Georgia Southern at Western Michigan (9/24 at 7 PM EST) – Two top mid-major teams in 2016 collide here with both teams at 3-0. Georgia Southern has a perfect record on the heels of their defense, which has allowed only 10 points per game this season. They needed a late field goal block to defeat Louisiana-Monroe to get the win. Western Michigan is undefeated with two victories over Big 10 opponents Northwestern and Illinois on the road. They did not have much trouble with the Illini as they went out to a 21-0 lead early in the second quarter and cruised from there. This will be a fun game to watch two really good mid-major teams. Western Michigan is a longshot to make one of the big bowl games, but they need to win all of their games to even be considered. Check back next week for the week five edition of Under The Radar Games. In addition, you can find the previous columns below. Upsets Galore – #15 Middle Tennessee defeated one of the National Title favorites and #2 seed Michigan State in the first round. Double digit seeds won left and right (#13 Hawaii over #4 Cal, #11 Wichita State over #6 Arizona, #12 Yale over #5 Baylor, #11 Northern Iowa over #6 Texas, #10 VCU over #7 Oregon State, #10 Syracuse over #7 Dayton, #11 Gonzaga over #6 Seton Hall, #12 Arkansas-Little Rock over #5 Purdue, and #14 Stephen F. Austin over #3 West Virginia). That all made for some great action, particularly on Friday. The ACC – The Atlantic Coast Conference has put a record 6 teams through to the Sweet 16 (Miami (FL), North Carolina, Notre Dame, Duke, Syracuse, and Virginia). That is incredible to have 38% of the remaining field, but it also came down to some favorable matchups like Syracuse against Middle Tennessee. However, that is no fault of the ACC as their teams delivered. “Mid-Majors” – This was a good tournament for the upsets (see above), but the “Mid-Majors” got plenty of support in close games and some great stories. Stephen F. Austin got 33 points from Thomas Walkup, who played incredibly against West Virginia and had a solid game against Notre Dame. Yale won their first ever Tournament game against Baylor. Hawaii defeated Cal. Northern Iowa captivated the nation not once, but twice against teams from the state of Texas. First it was Texas and this buzzer beater, but then it was their collapse against Texas A&M. Saint Joseph’s played a great second round game against top seeded Oregon. Finally, Middle Tennessee going toe-to-toe with Michigan State was easily the biggest story of the first round. Mid-Majors should not be discounted in the future when picking brackets. The #1 Seeds – The top four seeds in the Tournament all looked good on the first weekend, but also faced some competition at times. Kansas took a big lead against UConn before that dwindled, but the Jayhawks fended off that challenge. North Carolina had a close first half against Florida Gulf Coast and Providence, but dominated the second half of those games to pull away. Virginia and Oregon had tough second round games against Butler and Saint Joseph’s, respectively. However, they were able to get through those games and move to the Sweet 16. The top seeds look mighty tough, but this is March Madness afterall and we have seen that anything is possible. Brackets – Michigan State was picked to win a lot of brackets and their upset loss ended any hopes of a prefect bracket on CBS Sports. The Spartans’ loss did other damage to Final Four picks as well according to CBS Sports. Here is my 2017 New Year’s Resolution: Do not fill out a bracket. The Referees – The inconsistency of the officials calling the Tournament made it frustrating to watch at times. Between Duke and UNC-Wilmington, the referees called every soft foul imaginable while other games would let them play. Constant foul calling stems the flow of the game for TV viewers, but how frustrating must that be for a player on the floor? One thing that needs to be looked at is how much contact to allow. It does come down to each referee, but how can one game have a foul called 80 feet from the basket for putting a hand on a player’s hip and another not call a push off? Game Management – You can call this the Northern Iowa Special. The Panthers blew a 12 point lead with 35 seconds left in the game and then lost in double overtime to Texas A&M. They are not the only team to make questionable calls though. 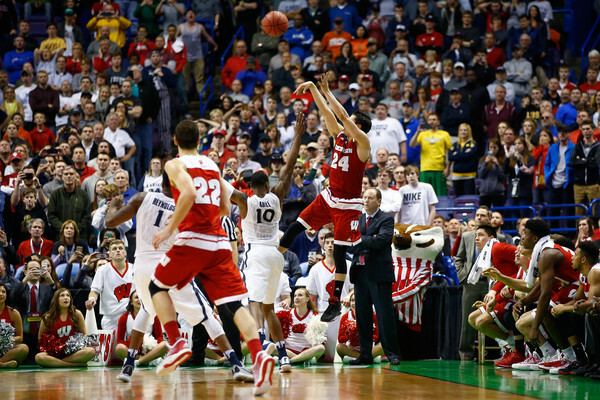 Xavier was up three in the final 10 seconds, but opted not to foul the Badgers’ shooters. Wisconsin subsequently tied the game and then Bronson Koenig hit a three at the buzzer to end Xavier’s season. Purdue deserves mention as well for letting Little Rock comeback late in the game and losing in double OT. There was also near comebacks by Wichita State (trailed 27-6 to Miami) and Yale (down as much as 27 to Duke), but those two were not able to complete the miracle comebacks. Seeding/Selection Committee – The NCAA Basketball Selection Committee did a bad job selecting teams last Sunday. It turns out they did a bad job of seeding the teams as well. Stephen F. Austin deserved better than a 14 seed as did Middle Tennessee at 15. And this was before the games were played. It is easy to pile on the Committee after the fact, but some of the seeding was questionable beforehand. In addition, the scheduling for Wichita State was brutal. The Shockers had a late game on Tuesday, late game on Thursday, and an early game on Saturday, which may have contributed to them starting as flat as they did. Wisconsin versus Pittsburgh – This was about as ugly a game to watch in recent tournament memory. The Badgers won 47-43 after scoring only 16 points in the first half. The teams combined to go 35 of 101 from the field and 7 of 30 from beyond the arc. The 90 total points were the fewest since 2000 in the NCAA Tournament. The game was wretched, but Badger fans felt greatest about the result and were lifted in the second round too. Let’s hope the final two weekends give us as much entertainment as the first weekend provided. Former Florida State linebacker E.J. Levenberry announced that he will be transferring to play for the Connecticut Huskies. After making the announcement via Facebook, the UConn Huskies Twitter page confirmed the news. Levenberry started his career at Florida State with a promising start in 2013. He appeared in 13 games and made one start on his way to recording 39 tackles and one tackle-for-loss. In addition to that, he had a 78 yard interception return against Idaho in FSU’s 80-14 demolition of the Vandals. In 2014, Levenberry played in 13 games while recording 21 tackles and one tackle-for-loss. Levenberry will apply for a waiver to play immediately in 2015. 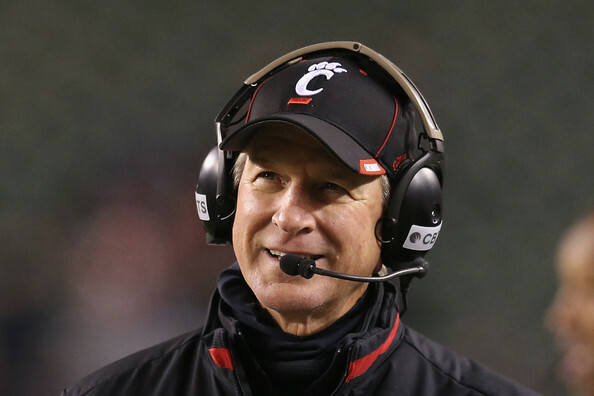 If he does not receive the waiver, he will redshirt in 2015 and be back on the field in 2016. Levenberry is currently at Northern Virginia Community College and will join the Connecticut football team in June. 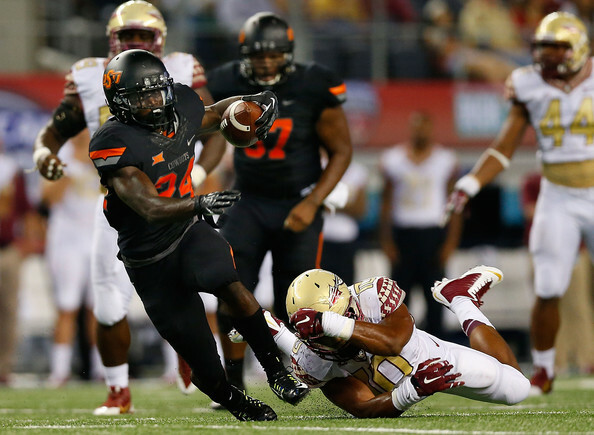 Levenberry was backing up starting linebacker Reggie Northrup who lead the team with 122 tackles in 2014. Northrup also recorded 4 tackles-for-loss, one sack, forced a fumble, and recovered a fumble. Below is the Ivy League Basketball Roundup for Friday, December 5, 2014. Only one team, Yale, played on Friday night and they had the tough task of going on the road and facing Connecticut. An ugly game presented a beautiful finish for Yale. Jack Montague’s three with 1.7 seconds left on the clock provided the Bulldogs with a stunning 45-44 upset of Connecticut on the road. Yale was not intimidated by UConn at all in the first half. They opened up with a three pointer from Armani Cotton and held a 7-6 lead early. That lead only grew as UConn went over 7 minutes without a bucket. Yale went up 17-6 before a Sam Cassell Jr. three pointer made it 17-9 and Yale proceeded with another run of 5-0 to lead by as much as 13 points. The final 6:11 of the first half belonged to UConn with a 10-2 run to close the half. Yale held a 24-19 lead at the break. Justin Sears had a big first half with 9 points and 6 rebounds while Javier Duren scored 6 points. Yale shot 38% from the field and hit only 1 of 11 three pointers (9.1%). They out-rebounded UConn 19-14 on the glass and committed 5 turnovers. Sam Cassell Jr. led UConn in the first half with 7 points on 3 of 4 shooting. Amida Brimah scored 6 points for the Huskies. UConn shot 35% from the field and hit 1 of 5 three pointers (20%). They committed 7 turnovers in the first 20 minutes. UConn’s Amida Brimah scored the first 6 points for the Huskies and trailed 30-25 at the first TV timeout. Both teams continued to go back and forth with some turnovers and defense mixed in. UConn took a 38-37 lead with a Ryan Boatright layup before Matt Townsend responded with a bucket of his own and giving Yale the lead back at 39-38. The final few minutes did not include much in the way of scoring, but provided plenty of action. A 40-40 deadlock was broken by Boatright before two Cassell free throws made it 44-40 in favor of UConn. Justin Sears hit two free throws before Boatright missed the front end of a one and one. Sears grabbed the rebound and tried to dribble in the lane. He lost control of the ball, but it hit off a UConn player. On the in bounds play under UConn’s basket, Sears threw the ball into Montague in the corner and he drilled the three pointer with two UConn players closing in on him. UConn in bounded the ball, but Sears was there to make the steal and run the clock out. For the game, Javier Duren led Yale with 15 points on 6 of 13 shooting including a paltry 1 of 8 from beyond the arc. Duren also grabbed 5 rebounds, 3 assists, and 3 steals. Sears had 12 points and 15 boards while Matt Townsend scored 8 points. The Bulldogs shot 18 of 55 from the field (32.7%) and hit only 3 of 21 three pointers (14.3%). They went 6 of 7 from the charity stripe (85.7%), out-rebounded UConn 36-25, had 10 steals, and committed 11 turnovers. UConn was led by Amida Brimah with 14 points and 4 rebounds. Sam Cassell Jr. scored 12 points of the bench for the Huskies and Daniel Hamilton scored 8 points and grabbed 6 rebounds. Ryan Boatright scored 6 points on 3 of 9 shooting including 0 for 4 from beyond the arc. He also had 4 rebounds and 6 assists. The Huskies went 19 of 43 from the field (44.2%) and made 2 of 11 three pointers (18.2%). The Huskies made 4 of 6 free throws (66.7%) and committed 13 turnovers. Yale (8-2) has won three in a row and takes the win streak on the road again to face the Florida Gators (3-3) on Monday. Connecticut (3-3) has now lost three games in a row and the last two games have both been lost by a point on last second three pointers. Connecticut welcomes Coppin State (1-5) to town on Sunday, December 14.